This has been quite an offseason for the National League East. The Nationals signed Patrick Corbin. The Braves signed Josh Donaldson. The Mets, who weren't expected to be all that active, traded for Robinson Cano and Edwin Diaz, plus through free agency added Jeurys Familia and Wilson Ramos. The Phillies did their part by jettisoning J.P. Crawford and Carlos Santana to Seattle in exchange for Jean Segura, James Pazos, and Juan Nicasio, while adding Andrew McCutchen and David Robertson through free agency. The Phils mostly held par with the Nats and Braves, but to this point haven't matched the Mets in my opinion. 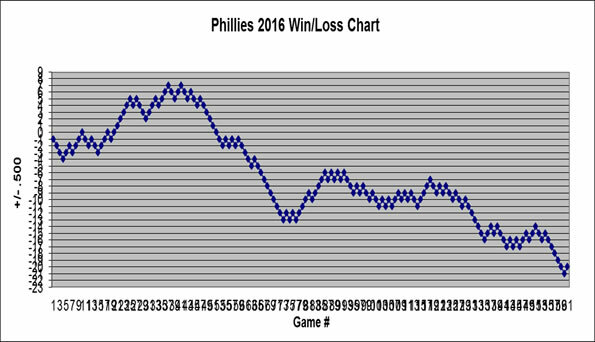 Let's ignore how the Phils stack up with their divisional foes for a moment and focus just on the team itself. How much have the Phillies improved? The Jean Segura trade and the acquisition of Andrew McCutchen drastically altered the Phillies roster. Maybe it's just me, but with two new players and three new defensive positions (Hoskins moves from left field to first base), I found it hard to reconcile just how much the team has bettered themselves. While it may be difficult to compare players on a 1-to-1 level, it makes more sense if you just compare this year's trio at first base, left field, and shortstop (Hoskins, McCutchen, and Segura) to last year's grouping of Hoskins, Santana, and Crawford/Kingery/Cabrera - then separate it by offense and defense. Let's start with the offense. Andrew McCutchen is essentially the offensive replacement for Carlos Santana. They both walk a lot and hit for some power, with Santana higher in the walk rate and McCutchen higher in batting average. This feels like a decent upgrade to me. At shortstop, the Phillies replaced 484 plate appearance for one of the worst hitters in the league (Kingery) with a perennial .300 hitter. The upgrade is significant. Carlos Santana brought with him a supposed defensive pedigree, but he offered below average defense at first base last season in Philadelphia. Hoskins may be younger, but the sentiment is that he is at best a mediocre defender at first. End result: no change defensively. Jean Segura is considered by most to be a fairly average player defensively at shortstop, but he is an upgrade from what the Phillies had last year with Kingery, Crawford, and Cabrera. Hoskins was perhaps the worst defensive left fielder in the game. Replacing him with a more than adequate glove in McCutchen should pay enormous dividends. Quick disclaimer: McCutchen may not play left field in 2019, but it makes things much easier to assume that he does. Putting it all together and ignoring the more competitive division, my feeling is that the Phillies could push the 2019 win total into the upper 80's with that one trade. But what does WAR say about it? 2018 (Kingery, Crawford, Cabrera): For this, I totaled the offensive WAR's of Kingery, Crawford, and Cabrera, then divided it based on the number of plate appearances. Let's use the same analysis defensively. 2018 (Kingery 101 starts, Crawford 27 starts, Cabrera 25 starts): This one is tougher to represent with players switching positions and I couldn't break it down by shortstop, so let's just go with their total defensive WAR of -0.4 for Kingery, -0.4 for Crawford, and -0.6 for Cabrera (just with the Phillies) for a total of -1.4 dWAR. That's a big number. It means that according to WAR, the Phillies should win 9 more games in 2019, for a total of 89 wins for the season. I'm somewhat surprised the data turned out as positive as it did, but that result probably should be even higher considering McCutchen should hit better in a smaller yard and field better playing at Citizens Bank Park versus unfriendly AT&T Park in San Francisco where he played most of last season. 9 wins without even addressing the improvement to the bullpen with David Robertson or the potential addition of a mega star? That is a comforting thought.